And yet, 13 often works, and that's not (just) because Wilde is easy on the eyes. Admittedly, things become problematic when 13 gets story arcs that focus on her apart from House, like her relationship with Foreman, which initially appealed to me because it was so unexpected (I'm starting to realize that I've been watching this show so long, I get overly excited when anything changes) but ultimately died on the vine as neither actor appeared to be in the same room together when they were supposed to be making out. Even her Huntington's Disease, which has always been the character's big hook (like Taub and his wife, which we'll get to, or Masters and her honesty), was hit or miss. But let's be honest; outside of Wilson, I don't think this show has ever had a character who worked particularly well on his or her own. 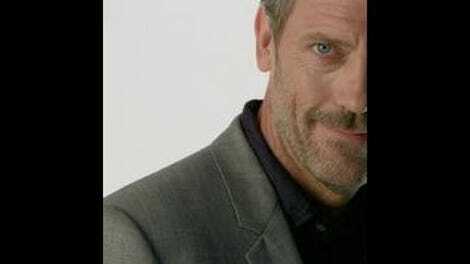 The real test is how 13 gets on with House, and, as much of tonight's episode, "The Dig," showed, the two of them play off each other quite well. They're not quite equals, but because of various factors—similar resistances to emotional vulnerability, dismissal of conventions, the way the show let's House hit on her in a way that generally doesn't make him look like a creep—they interact like they're coming from roughly the same universe. That's a pretty big step for House, whose closest friend often seems like a visitor from the Galaxy of Cares-A-Lot. OK, breaking down the episode, we have the PotW, who initially looks like he's a hoarder, only it turns out his wife is a hoarder, because she's had a bunch of miscarriages. Happy times all around, although she'll get the meds she needs, and since her psychological problem has such an obvious cause, I'm sure everything will be fine for them soon. (Seriously, I love how some of the patients on this show have back-stories that sound like comic book villains: "She couldn't bear to let go of the past, so she became THE HOARDER.") I suppose there's some sort of thematic connection to be made here, about how Masters is able to determine the root of the problem by going back into the couple's past (she treats their cluttered home like an archaeological site, hence the episode title) and about how House has to go back to 13's roots (tuber joke!) to figure out why she was in jail, but nothing seemed all that resonant. Which is fine. By now, if the PotW doesn't make me cringe, I'm cool with it. Plus, 13 figured out what was happening, not House, which is cool. That leaves us with House and 13, by far the best element of the episode and the one that had me rating this as highly as I do. We had our first cold open in ages that had nothing to do with the PotW, as House meets 13 at prison and hands her a freshly mixed martini. (I wish the show would shake up the cold opens more often. Starting with the patient was clever at first, but it's lost whatever edge it once had.) They then take a field trip to a spud-gun showdown, which is sort of ridiculous but also charming in a way that House sometimes forgets House can be. A lot of their hanging out time felt like a call-back to early road-trip episodes, and that's a good thing. This late in its run, the series isn't going to suddenly reinvent itself in a way that's anything less than gimmicky, so it's gratifying when it plays outside the box but does so by attempting to get closer to interesting character dynamics. And like I said, the House and 13 pairing has always been fun to watch. There are a few missteps even in their story: the jokes with Harold, House's teen (or early twenty-something?) nemesis are a little too cutesy, although the resolution made me laugh. While I appreciate 13's incredulity over House and Cuddy's relationship, House's instant grief over their break-up seemed out of place. It wasn't showy, exactly, but it did serve as a painful reminder of how forced that whole relationship was and how easy it's been to forget it now that it's (nominally) over. Bringing in someone who was off doing Tron: Legacy re-shoots (or spending time "in jail"), and as such wasn't around for the whole weird arc, may help to get the season back on a good track by re-establishing the bland but intermittently entertaining hum that took up most of last season. Or else 13 will just be forced into the hive mind when Huddy once again rears it's terrifying head. Who knows? While I liked the idea of 13 ending up in jail for euthanizing her brother, who'd been in the advanced stages of Huntington's, it's hard not to notice that, as House points out, we've never heard she had a sibling before. 13 likes to play it close to the vest, but this seems like a stretch and a convenient one at that, since the "brother" is introduced and permanently dispatched in the space of half a dozen lines. I wasn't a huge fan of House's apparent terror at emotional confession, either, as it seems to be played up more to remind us of his inability to connect to Cuddy during her medical trauma earlier on than anything we've seen from him before. (In fact, the reason House freaked out about Cuddy was because they were dating. Everyone else's pain shouldn't get to him. Are we supposed to infer growth?) But it did lead to a nice moment between them at the end, when House, inevitably, told 13 he'd kill her when the time came. Presuming the show lasts long enough to air that episode, I imagine it will be an Emmy submission for them both. Till then, though, this was fun; not a classic or anything, but certainly far more entertaining having to deal with more moping around Plainsboro. Welcome back, 13! Does this mean Masters will have to return to her home planet? So I guess House and Cuddy went out for nearly a year, then? Man, I never have a good grasp of time on shows. "It's no wonder Cuddy broke up with you." Yeesh. "He's hoarding books on hoarding."